In the spirit of Bob's own ever-changing, chameleon-like approach to songwriting and performance, group founder Dr. Lindsay Mitchell (Seeds of Time, PRiSM) has convened a "superhuman crew" of musician/singers: Jim Foster (Fosterchild), Willie MacCalder (Powder Blues), Pete Sweetzir (Fosterchild, Long John Baldry), Leroy Stephens (Cement City Cowboys, Blue Northern), and Leonard Saidman (Sons of Adam). "We're not a tribute band in the conventional sense," says Mitchell. "None of us is dressing up and pretending to be Bob. We're just six seasoned professionals playing Dylan songs with honesty, enthusiasm and respect." 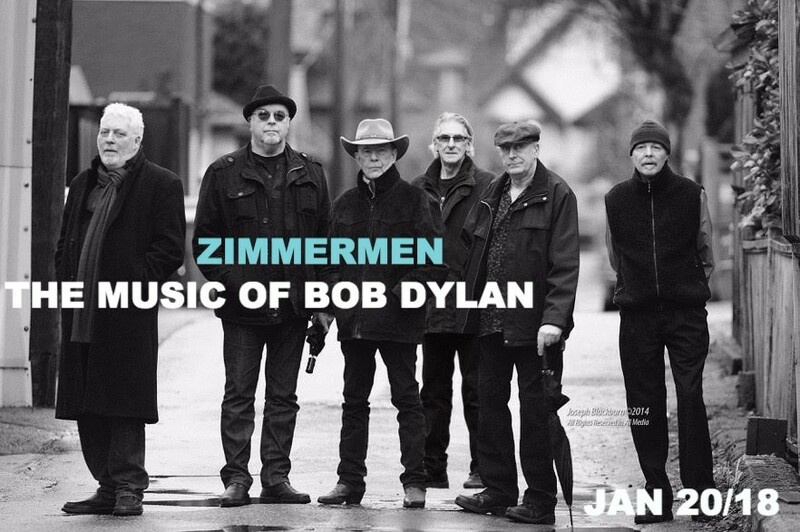 A celebration of Bob Dylan's music broadly manifest.